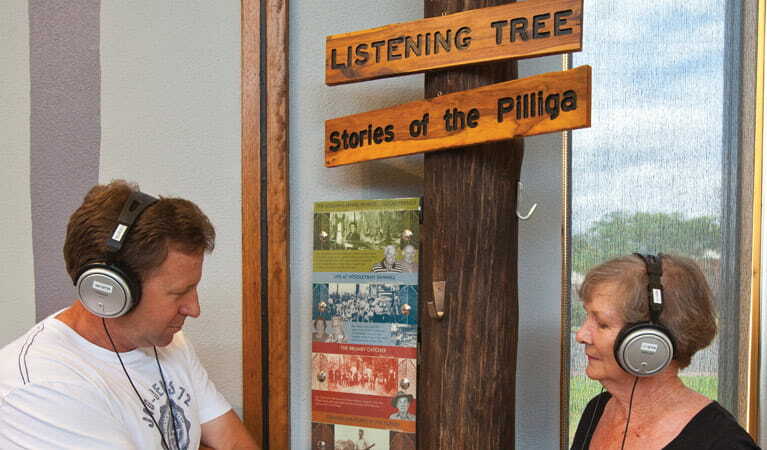 The Pilliga Forest Discovery Centre is the best place for visitors and tourists to collect information about the Pilliga Forest before setting off on their adventure. 9am to 4pm daily. Closed Christmas Day. It’s a good idea to check road conditions with Pilliga Forest Discovery Centre before setting out. 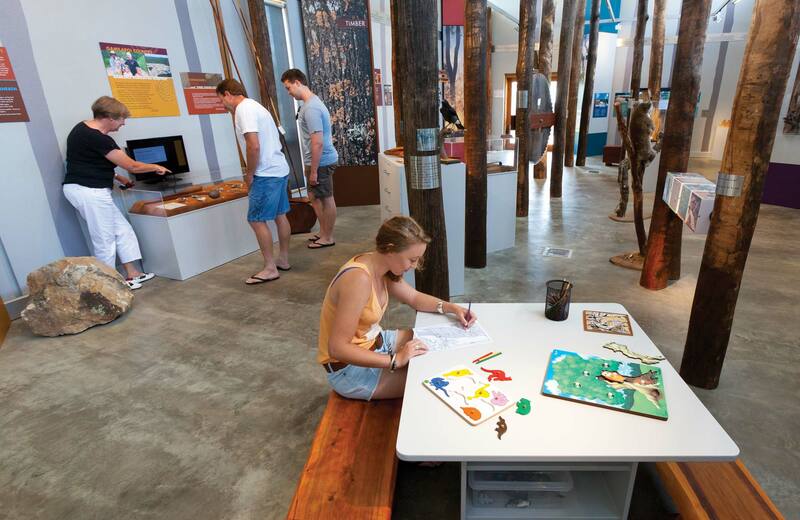 Start your exploration of Pilliga Forest at the award-winning and wheelchair accessible Pilliga Forest Discovery Centre. 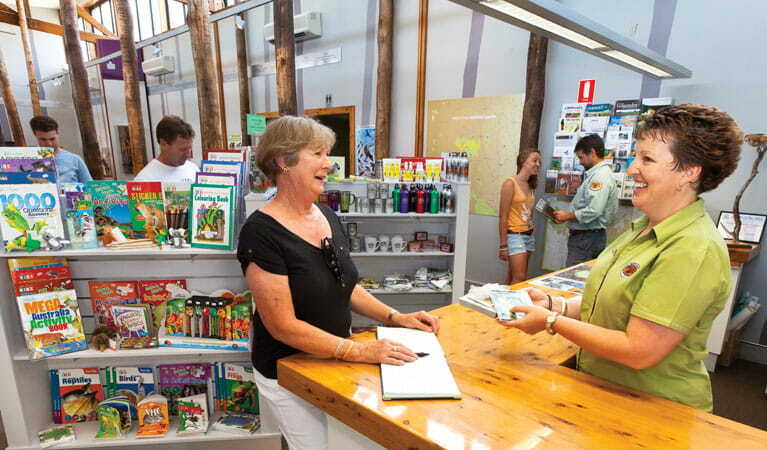 Located in Baradine, known as the gateway to Pilliga Forest, the Discovery Centre is an ideal place to drop in. Pilliga Forest is a large and diverse outback landscape. To make the most of your visit, it’s a great idea to drop by the Centre to pick up maps, seek advice from friendly staff, and find out about guided tours, as well as which are the best birdwatching routes. Interactive displays will give you your first taste of this dramatic landscape and inspire you to get out there and explore. This first ‘walk in the forest’ will reveal plants and animals, and Aboriginal cultural heritage - Pilliga like you’ve never seen it before. You’ll often find art exhibitions from local artists and other cultural contributions to the community taking place here. 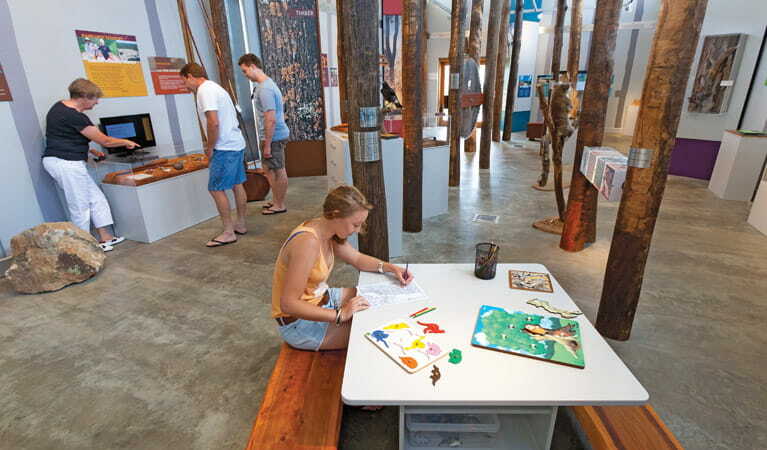 The centre is architecturally designed and environmentally sustainable, making it the tourism centrepiece of the region. It boasts a conference room which is open to the public for hire, making it a great place if you’re looking for somewhere unique for a private function. Pilliga Forest is always open but may have to close at times due to poor weather or fire danger. Contact hours: 9am to 4pm daily. Closed Christmas Day.